On an otherwise ordinary day, Elliot discovers something extraordinary: the power of mindfulness. When he asks his neighbor Carmen for a snack, he's at first disappointed when she hands him an apple - he wanted candy! But when encouraged to carefully and attentively look, feel, smell, taste, and even listen to the apple, Elliot discovers that this apple is not ordinary at all. Phil Pascuzzo is an artist and designer living in Albany, New York. He's designed countless book covers, and provided illustrations for No Ordinary Apple. "Parents will appreciate the call to slow down and pay attention, advice that's good for a lifetime. For children, the book will open new perspectives on the fruit of knowledge." "Illustrates the fact that we can all learn how to eat more mindfully--no matter what age you are at or which foods you love to eat!" "Sarah and Philip show us how, with a simple shift in perspective, something as ordinary as eating an apple can be transformed into an extraordinary experience." "With humor and a light touch, No Ordinary Apple takes us cheerfully through the exercise of eating an apple mindfully, using each of our five senses, one by one, leaving readers wanting to try it themselves!--"
"It is a book than changes lives. Take a bite and taste how good it is yourself." "Written for kids, but equally as appealing to adults, this is a no ordinary book about mindful eating." 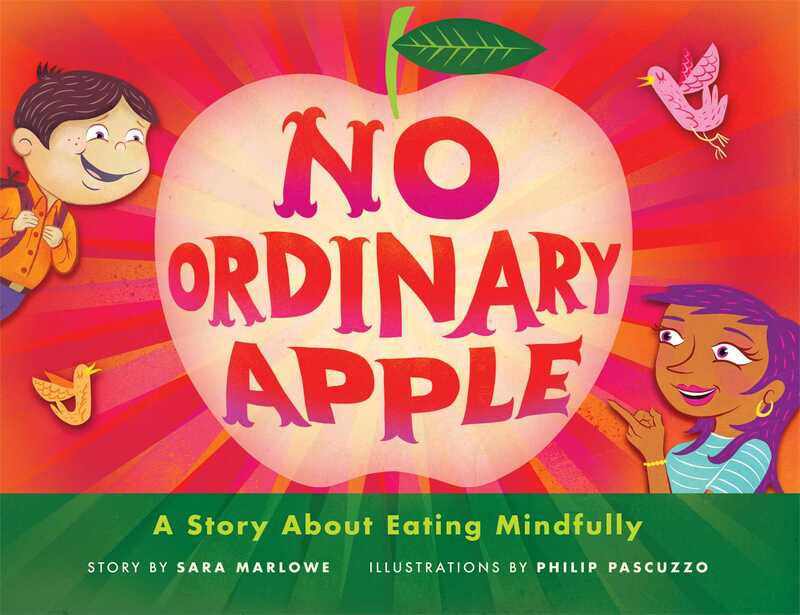 '"With humor and a light touch, Marlowe has given parents and teachers a fun way to introduce the practice of mindful eating."